Levels are the volumes that each Track have relative to the others. If you can't hear a bass line above the other instruments, the obvious choice would be to raise the bass line volume. 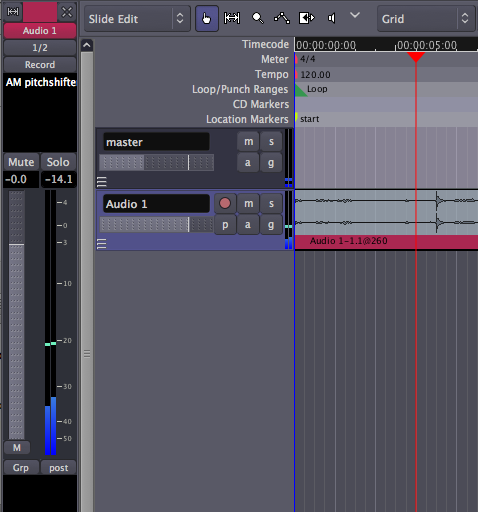 Levels can be adjusted in the Mixer Strip and in each Track below the Track name. The first step in Mixing is to listen to everything that has been recorded and adjust the levels of all Tracks so you can hear everything clearly, but in a manner that is appropriate for the song. For example, the vocal track is normally louder than the rhythm guitar because the voice is the focal point of the song. The Fader is the primary control of Levels for each Track. The exact value of the Track's Levels are displayed in the small rectangular field above the Fader. You can change the Levels by either dragging the slider or typing in a new number directly into the rectangle with the number. By default the Fader is set to −0.0 dB, meaning that the Levels of the Track are not changed while it is played. 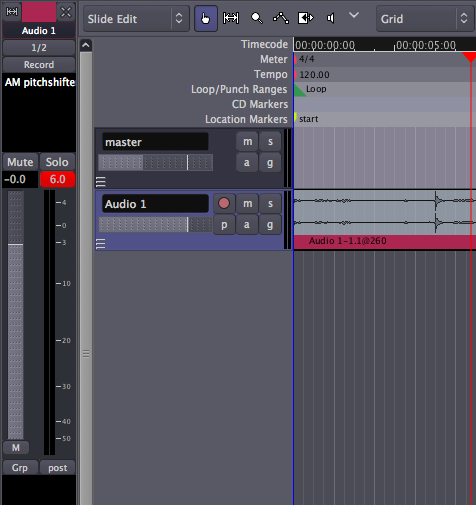 One other important task in Mixing is to avoid Clipping. The Peak Value on the Mixer Strip turns red when the signal has peaked above 0.0dB. You can use this tool to monitor the highest Levels of your Track while Mixing. Click on it to reset it. Because Ardour uses Floating Point Numbers internally, signals are not necessarily Clipping as long as the information remains within Ardour. So it may be OK if a track or bus occasionally turns red. But you should make sure that anything that you send to your sound card or that you will eventually Export as a sound file (such as for CD mastering) never goes above 0.0dB to avoid actual Clipping. When you are finished with this chapter of the tutorial, you should have a collection of Tracks whose Levels are well adjusted to each other and do not Clip when added together in the Master Bus. Once this is accomplished, we can proceed to learn about Panning in the next chapter, so that our Mix takes on a strong feeling of Stereo space.